Get up to 17,300 pages from your ColorQube 8700 printer using this pack of six Magenta Ink Sticks. The tried-and-tested ColorQube technology uses solid ink for clean and efficient printing, with no environmentally-unfriendly cartridges to dispose of. They're specially shaped to ensure fluid loading and fast speeds. 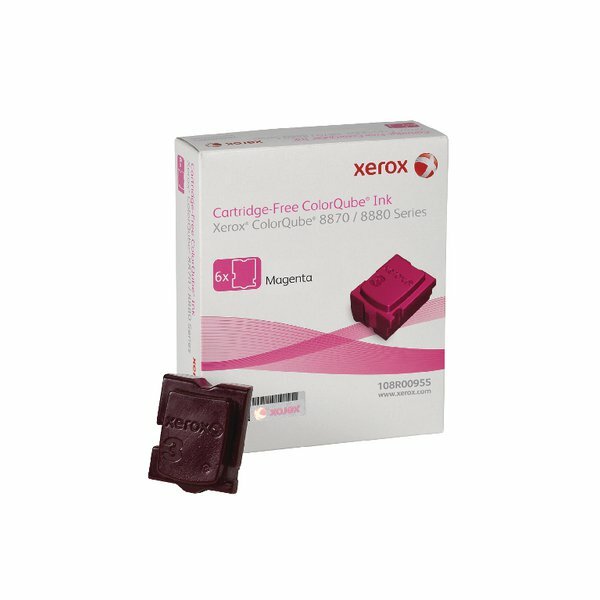 These ColorQube ink sticks are a genuine Xerox product, ensuring unbeatable quality and reliability.